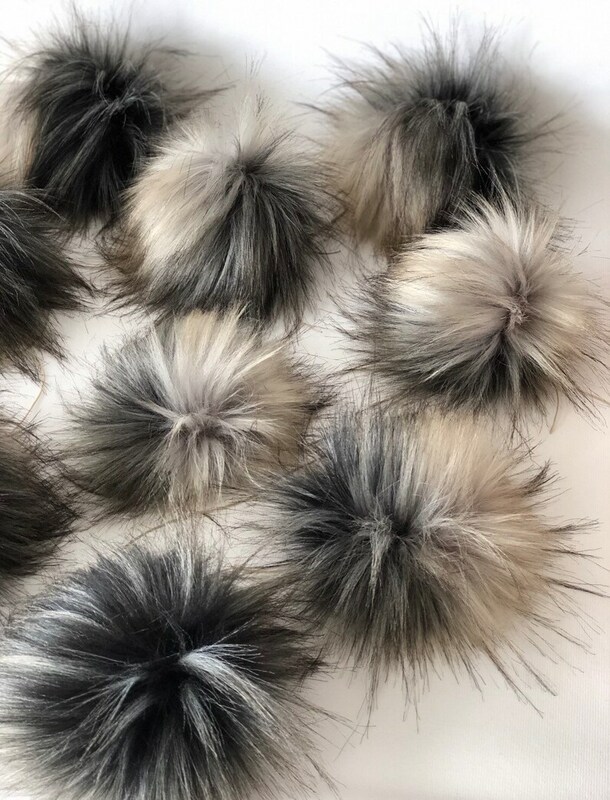 These are fabulous, full and fluffy faux fur poms handmade by me out of premium fabric. They are approximately 5" tip to tip and lightly stuffed with fiber fil. They are made with super strong nylon cording that is left long enough to sew on to your project or add a snap if you prefer. Luna is a Latin word for Moon and they look just like the two sides of the Moon. To get the full effect of these poms you really should order more than 1....they are fabulous! They are made from a striped fabric so no two are the same. Some are light, some are dark and all are two tone to some degree. I cannot accommodate requests for specific shades. Faux fur fabric is dry clean only. If it does get wet it can be blown out with a hair dryer to fluff it back up. Love this bag so much, thanks a million! This is beautiful. Very well put together. Fast shipping. Paypal or direct check out. Please be sure of your purchase as all sales are final, no returns or exchanges. All items will be shipped Priority or First Class with delivery confirmation. Please check my shop announcement or lisitng page for current turn around time. International orders are welcome, please send me a message for accurate shipping rates. You may be charged additional duty and taxes which I have no control over.